Experience Pro Paintball in MN at Air Assault Paintball. If you arelooking for a way to up your activity level and have some fun in the process, some Air Assault Paintball play might be just what the doctor ordered. Players can get a real workout, and a serious adrenaline rush as they enjoy a real pro paintball experience. Groups between eight and 150 can make reservations to partake in the fun, and if by chance there are members of a group that wish to have a seat to watch everyone else get splattered, there are spectator areas on the fields to accommodate those folks that prefer to watch. 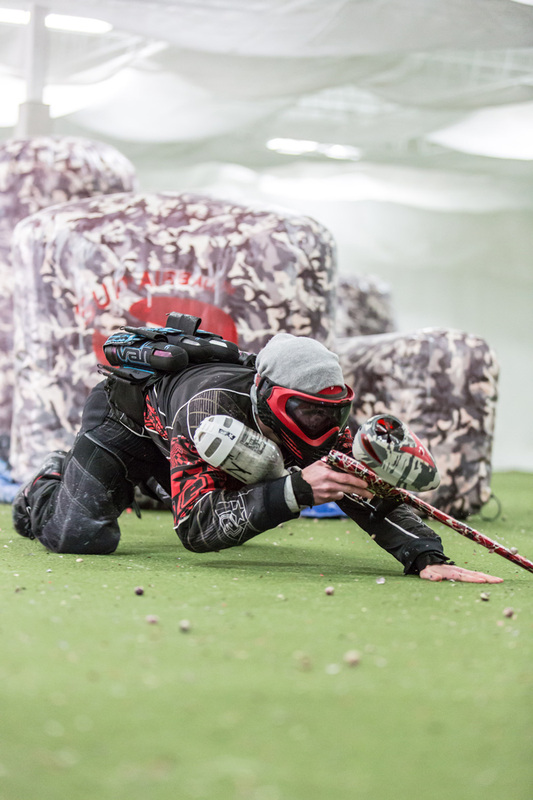 The opportunity to have the blood moving, the brain strategically thinking, and in a placing that allows players to allow away a bit heavy steam is the thing that a pro paintball MN expertise provides. Besides all of that, the experience is flexible too, because players have the option of scheduling private reservations, or walking onto a game. Private reservations can be created at any moment. Anyone seeking to enhance their regular exercise routine routine, should consider skipping the gym a few days from the 7 days, and interesting in a workout that only a pro paintball MN actively playing discipline provides. Remember to call us at 651-222-0300 in case you have any questions or if you would like to book a time. You should get in touch with us as quickly as possible, as sophisticated a reservation are required. We specialize in birthday parties, bachelor/ bachelorette parties, company team building outings, and youth groups. We can accommodate just about any private group request, 24/7, 365 days a year! Make sure you give us a call at 651-222-0300 with any questions you may have about hosting a private group outing or to begin the booking process.